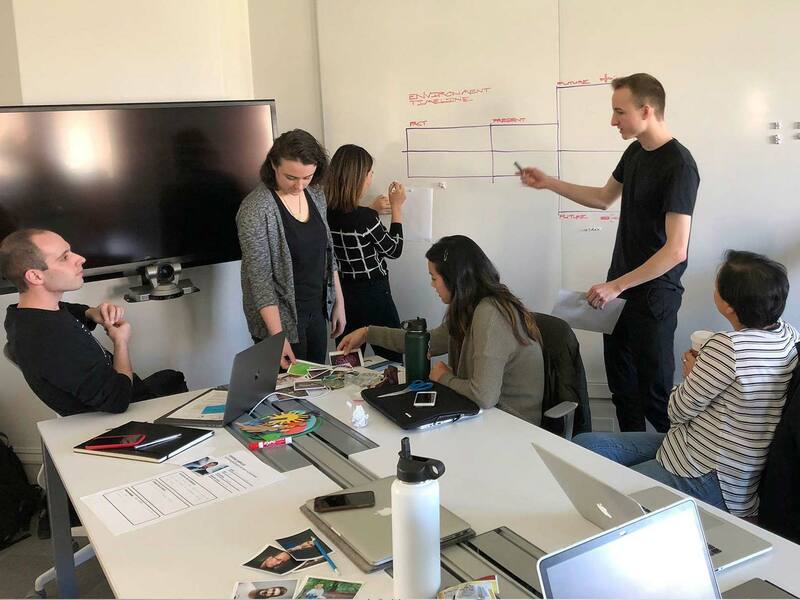 To explore how artificial intelligence can augment education and learning through interactions designed to improve the user’s relationship with the environment and create sustainable behavioral changes. Our team has created ORION, an IoT assistant that is designed to help users reduce their resource consumption in the home. 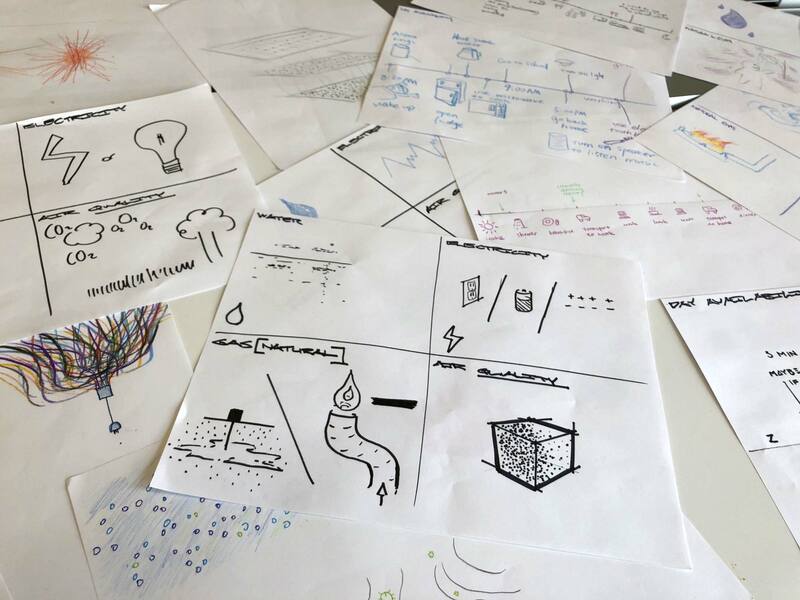 Brainstorming, researching, and concept development efforts were shared among team members. My individual efforts focused on developing the visual and mobile concepts. Human impact on the environment increases climate change and leads to the depletion of natural resources. Part of this problem is the lack of concrete understanding of how our personal consumption contributes to this impact. While developing and maintaining sustainable practices is challenging, it is imperative that changes are made in our daily lifestyles. To help achieve this, we created ORION, a home-based IoT device that is designed to facilitate positive interaction with utility data and the local environment in order to foster lasting behavioral changes. 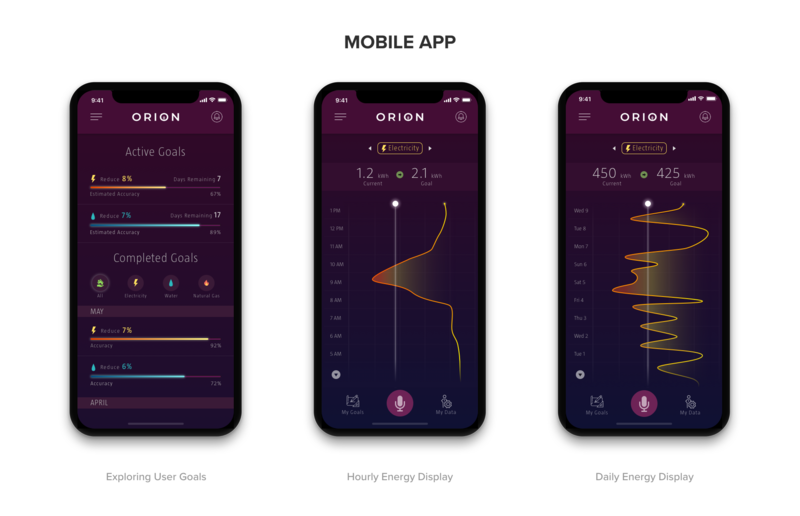 ORION’s mission is to analyze a home’s energy and utility usage and then provide assistance to the user to not only lower their monthly bills but to reduce their utility consumption overall. To understand how to teach people, we needed to better understand how people learn. What would learning look like that takes place over weeks, months, or even years? 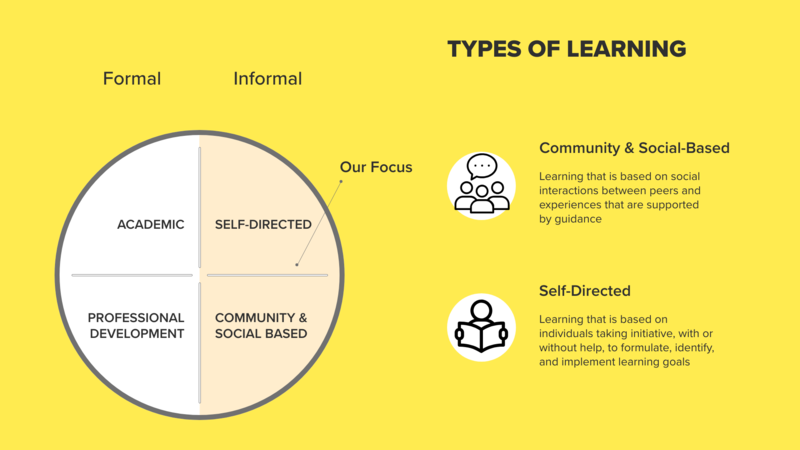 Our team wanted to explore principals of informal learning. How does participation in self-directed learning over longer periods of time affect us? We found that for learning to be successful, continual interaction with a device or system is crucial. But what would that learning look like in our context? We needed to better understand how people perceive the environment and their connections to it. 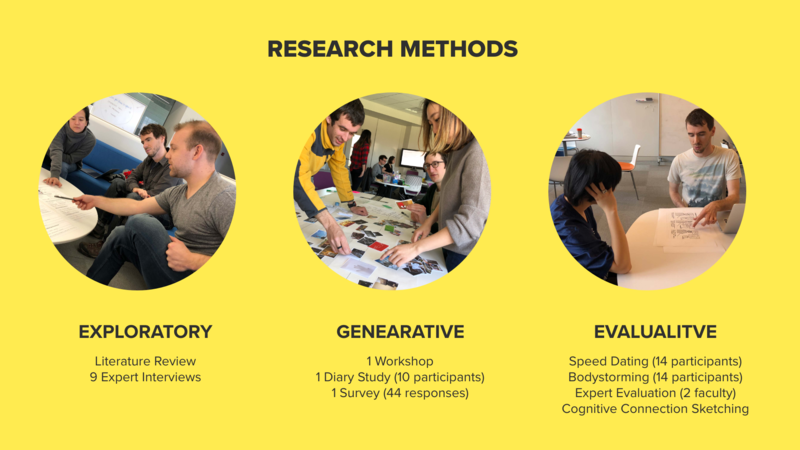 Exploratory Research helped us to identify and outline the direction for this project. 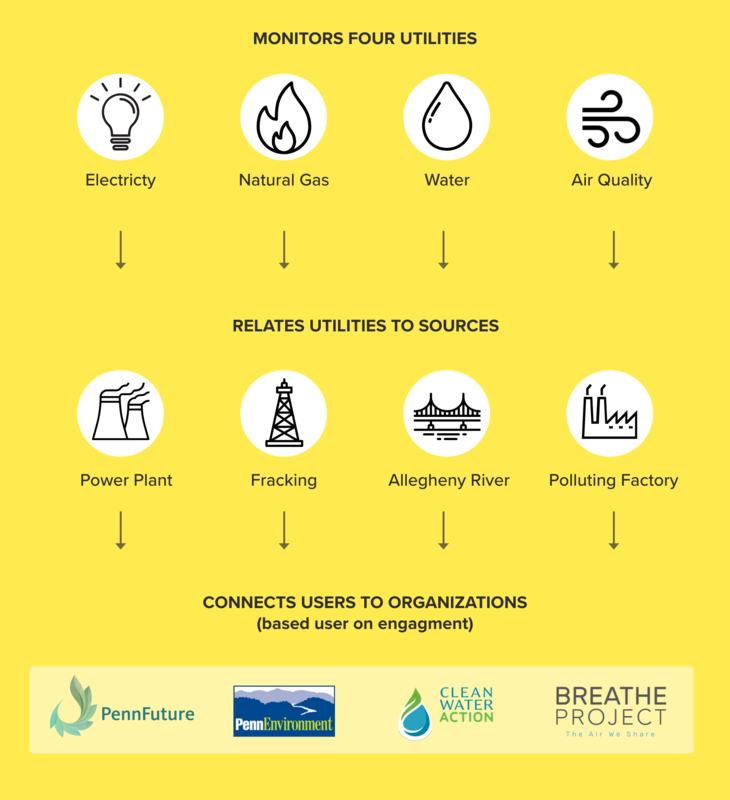 9 experts, including university faculty members, local community activists, and administrators of environmental organizations in the Pittsburgh area. 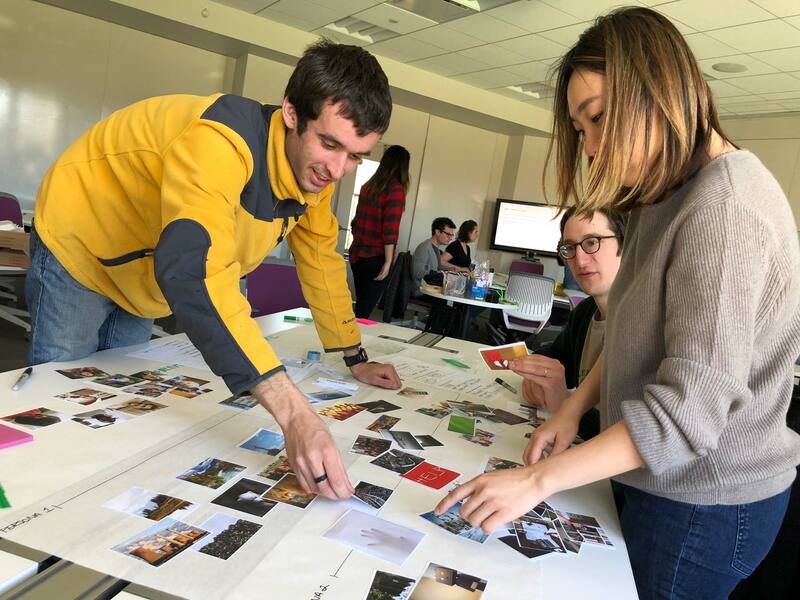 Generative Research allowed us to gain a better understanding of how people perceive the environment and environmentally sustainable behaviors. 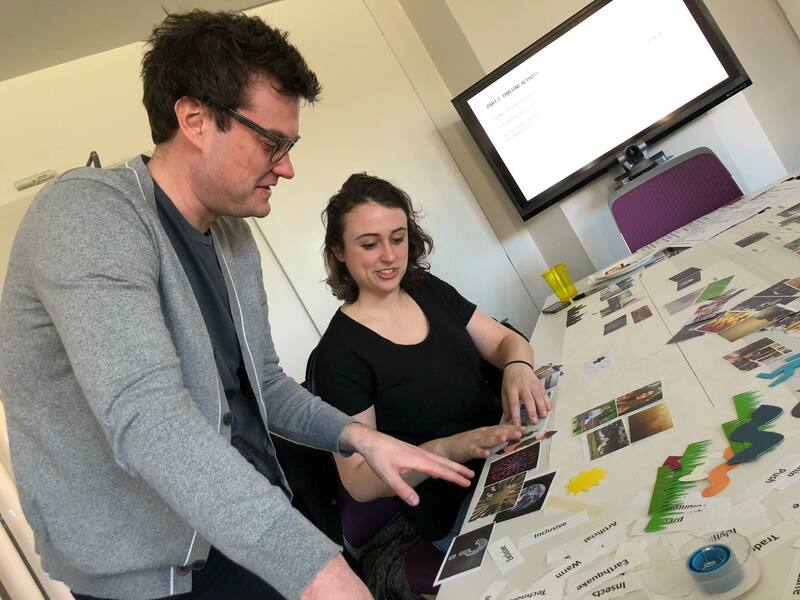 We also held a diary study where participants were asked to take two daily photos of what the environment meant to them. 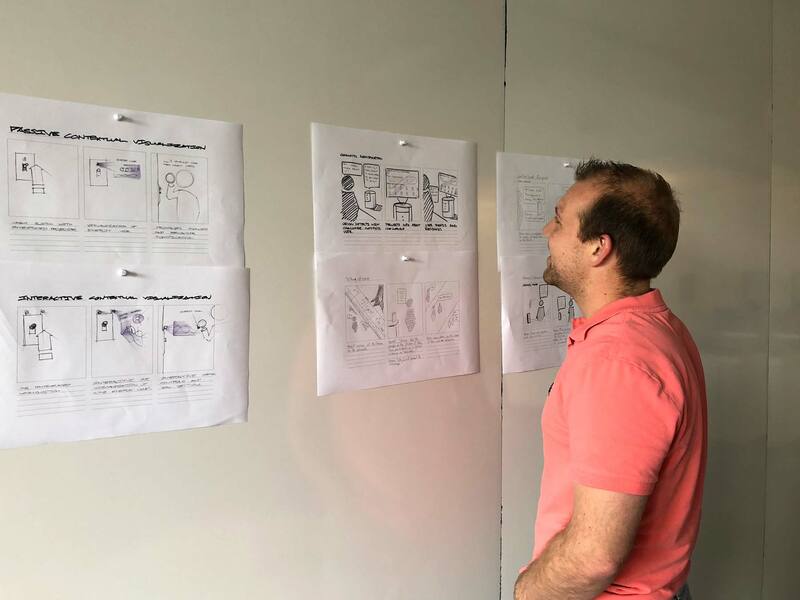 User Testing & Feedback enabled our team to evaluate which of our ideas worked and made sense to potential users. Based on the results of our research, we deviced four design principals for ORION. Focus on small scale, daily life activities. Tackling climate change or water pollution is an impossible task. But picking up trash, volunteering, or using less electricity are achievable measures for most people. Make the impact visible. It’s difficult for people to correlate their behavior with an increase (or decrease) in environmental pollution. But what happens if the effects of their environmental behavior can be seen through a smaller scale, such as in their home? Awareness is an empowering catalyst for behavior change. Is someone unaware that their everyday behavior harms the environment? How might their behavior change if they become conscious how their actions impact the environment? 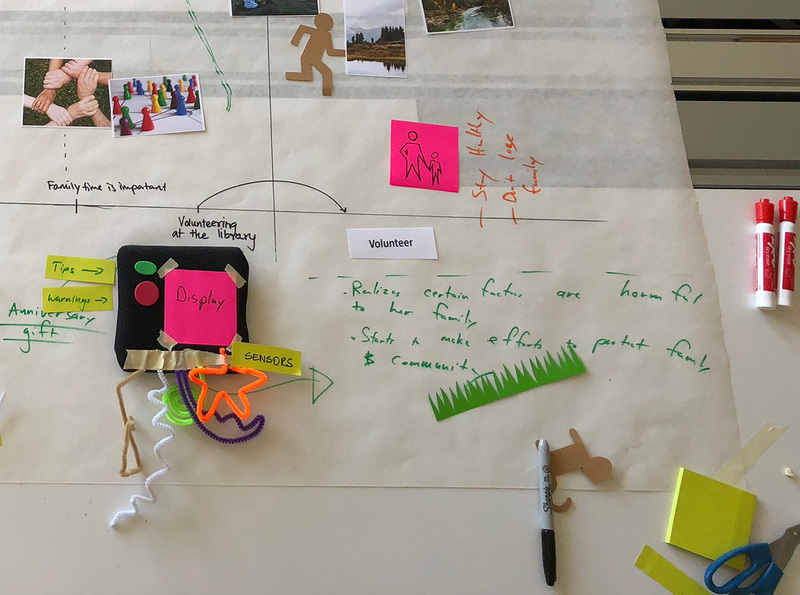 Connect people’s personal values to a larger environmental context. Not everyone is concerned about the environment. But when environmental issues become connected to personal matters, such as the health and well-being of a loved one, realizations of the environment’s impact can occur. We chose to feature a persona of a new homeowner who wants to help the environment but doesn’t know what he or she can do. This is where ORION can make a difference. We found it unlikely that a person who doesn’t care about their environmental footprint would purchase a system such as ORION. With ORION, we hope to leverage a user’s desire to save money on their utility bills or to help the environment in a general sense with tangible changes they can make within their home. ORION will analyze user behavior through home utility readings. Air quality, while not being a traditional utility, is important to many people we spoke with and can easily be included via an air sensor. Once ORION builds a profile for the household, it will begin to look for ways in which the homeowner can reduce his or her consumption. It will then communicate these solutions as suggestions to the user(s). 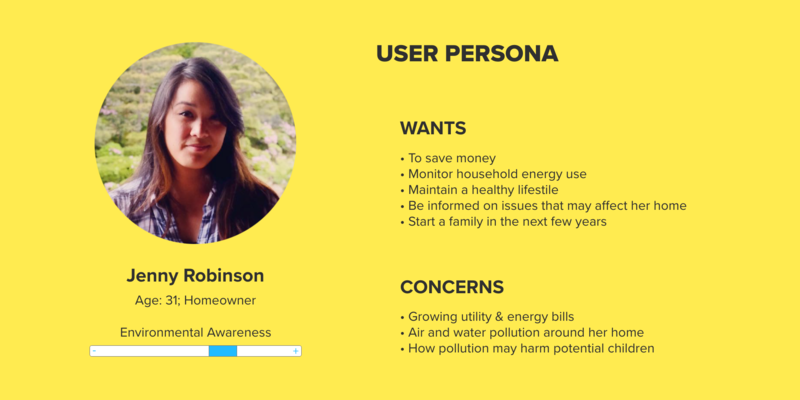 In order to build a connection between the user and the local environment, ORION will gradually inform the user where their electricity, natural gas, and drinking water comes from, and what affects the air quality that they breathe. This final step may not occur at the same time for every user, if it happens at all. 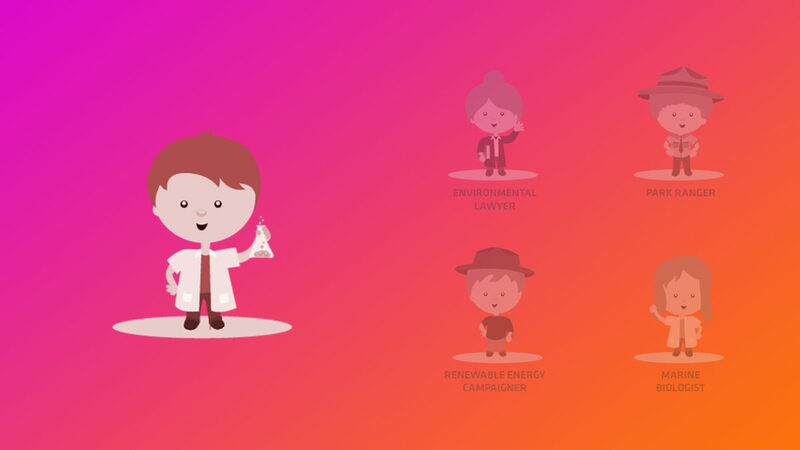 If a user is engaged with ORION and is actively seeking to reduce consumption and to learn more about the sources of natural resources, ORION will conclude that they may be receptive to doing more, specifically participating in events of local advocacy organizations working to make a difference. 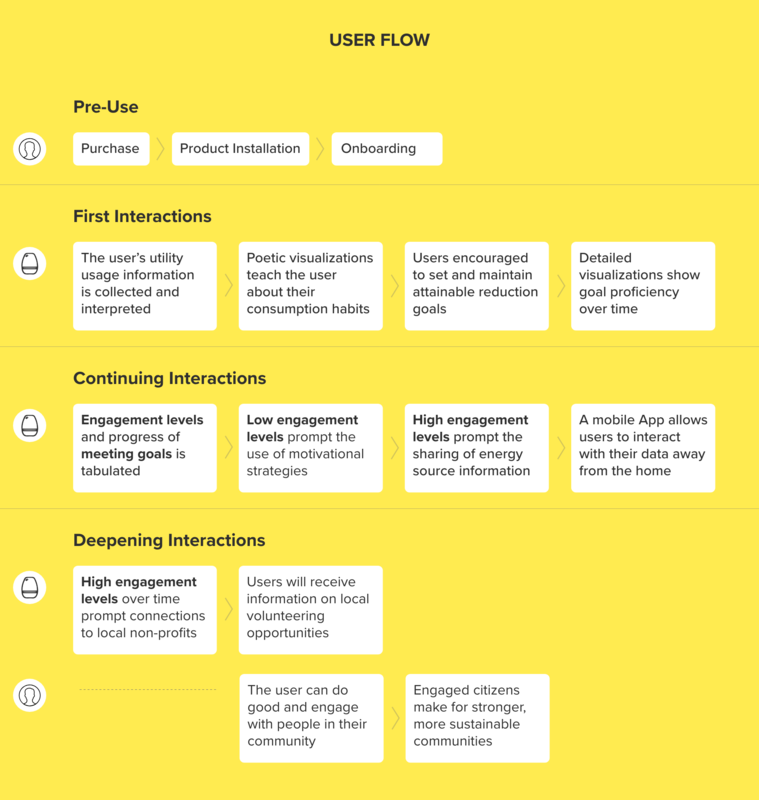 So how does ORION measure user engagement? 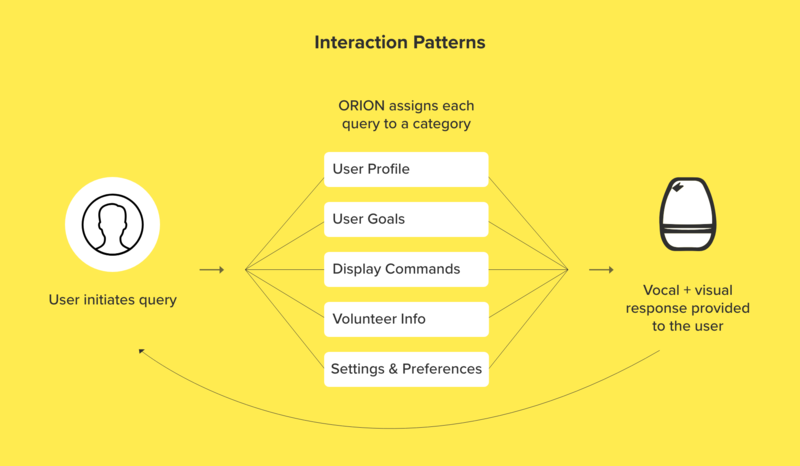 ORION is programmed to build a user profile by conducting a series of checks on user behavior. 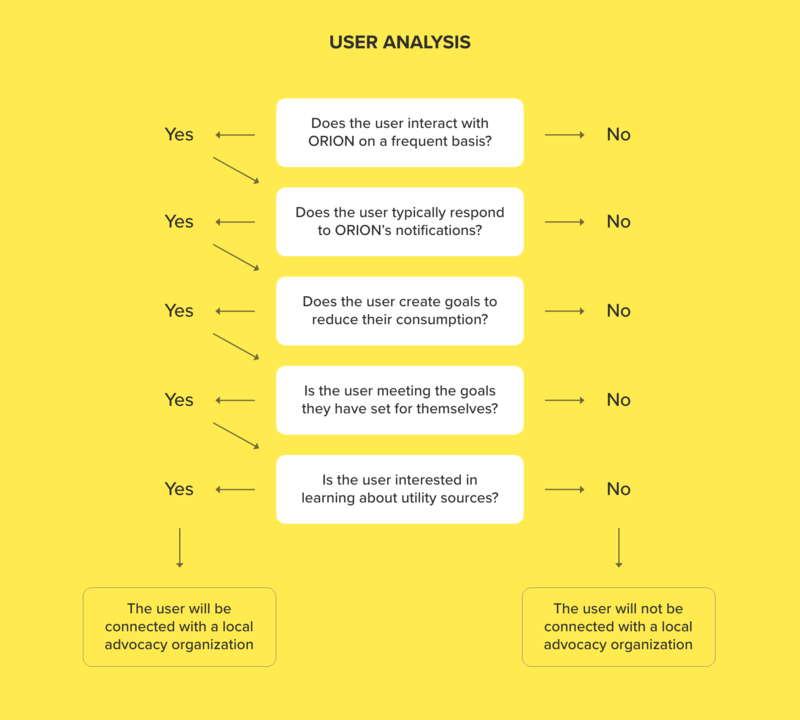 If the user interacts with ORION on a frequent basis, responds to notifications, actively aims to lower their consumption, and learns about their local utility sources, then ORION will prompt the user to join a local advocacy organization. But which one? 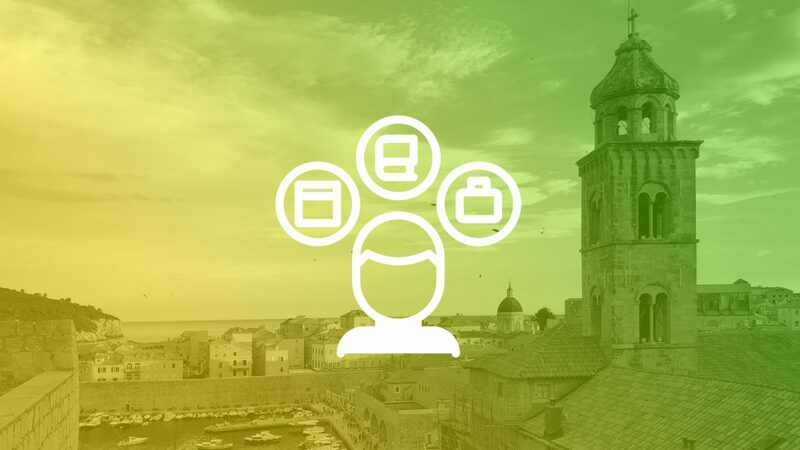 Based on which utility the user interacts with most often, ORION will choose the relevant organization and provide the time and place for one of their events. People are busy and have a lot demands on their time. As ORION seeks to alter behavior over longer periods of time, it became necessary to examine ways in which it might initiate interactions with the user, long after the honeymoon period has ended. The device has multiple ways of alerting the user. These include vibration, light patterns, and sounds. The diagram above displays motivational tactics, which is the algorithm to be used to help determine what is the most effective way to request the attention of the user. Does the he or she respond to sound but not light? ORION can learn this and use light patterns as the primary means to attract the user’s attention. 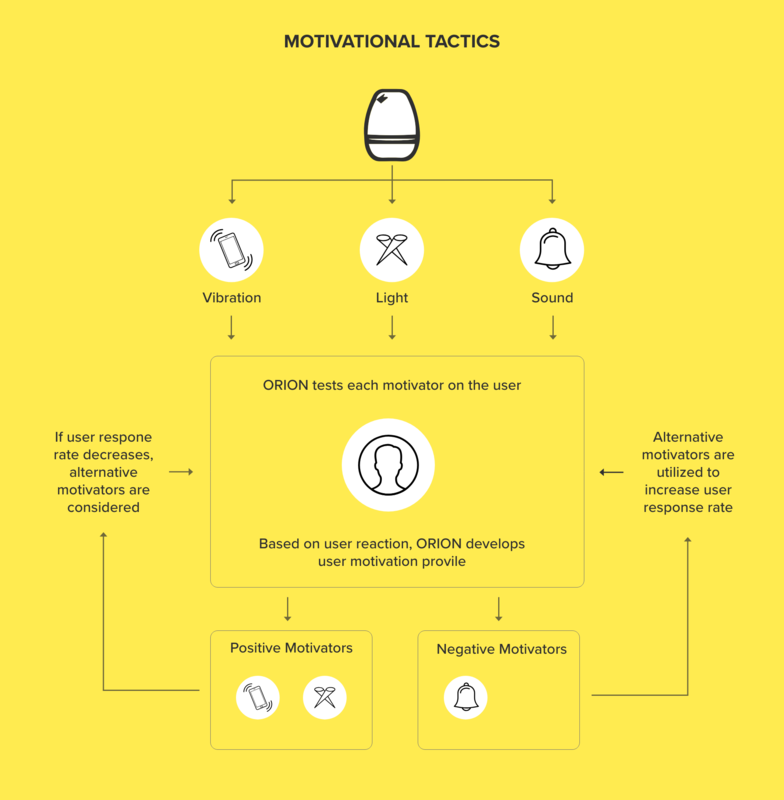 If the success rate decreases over time, ORION will again test other motivational tactics on the user, such as sound or vibration. This brings up an interesting question, how do we keep ORION from being annoying, or might the annoyance ultimately be helpful in changing the user’s behavior? ORION does a lot. But it’s important to keep in mind that it doesn’t do everything mentioned all the time. Like a television or appliance, it has multiple modes and settings. Otherwise referred to as standby mode. The light band is can pulsate to indicate the device’s state. 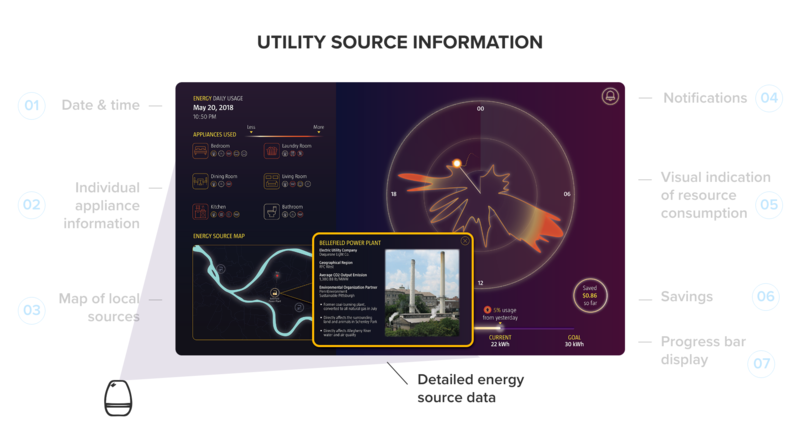 When the user asks to see more detailed information, ORION projects an infographic of the day’s utility consumption onto a wall or nearby surface. 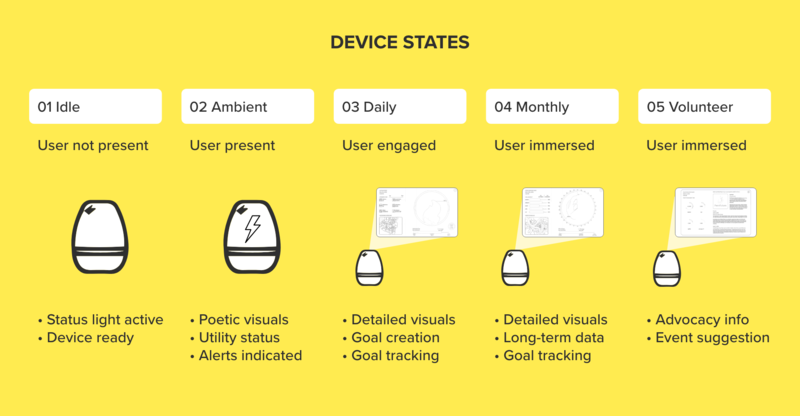 The user can adjust settings, set goals to reduce their consumption, and check the progress of set goals. Also at the request of the user, the projected infographic can display monthly (or yearly, if applicable) data. As mentioned above, when ORION considers a user to be interested in volunteering for an advocacy organization, more detailed information about that organization and its events will be displayed. Now that we know more about what ORION does, let’s take a look at what it is. 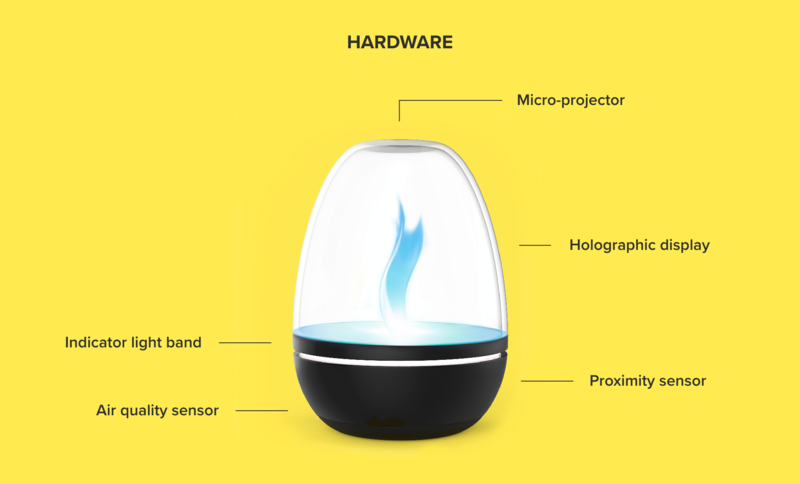 ORION is a small IoT device that includes technologies such as a micro projector, holographic display, proximity sensors, and an air quality sensor. Four visualizations were designed for this project. One for each of the utilities (and air quality) that ORION monitors. Natural gas is represented by a blue flame. The flame appears larger and brighter as more gas is used. Water is represented by a full container. As water is consumed during the course of a day, the container is depleted. Air quality is represented by smoke. The smoke grows darker as the air quality worsens. Electricity is represented by bolts of energy. These bolts become faster and shift in color to red as energy demands increase. 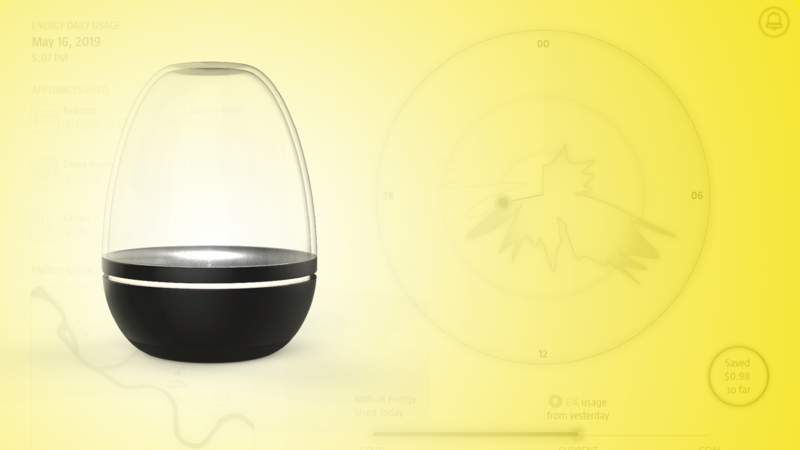 These visualizations are designed to display while a user is within visual range of the device. The goal of these visualizations is to quickly convey current consumption levels to the user with minimal interaction on their part. Once the user initiates an interaction with ORION, more detailed visualizations are projected onto a nearby wall or surface. 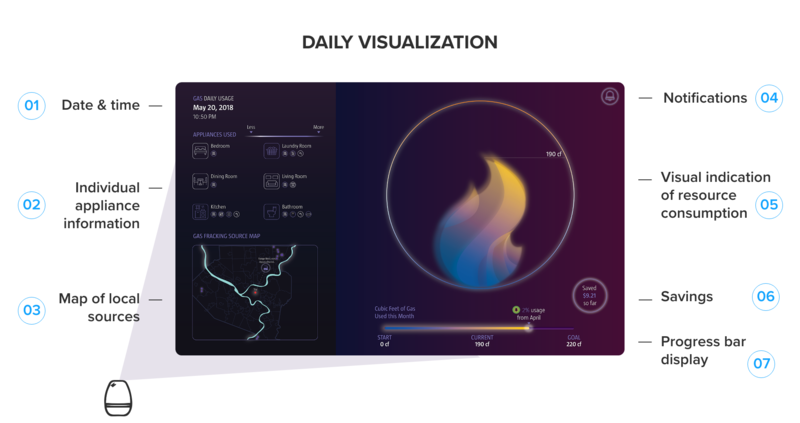 The daily visualizations contain all of the information necessary to assist the user in understanding their daily utility usage. 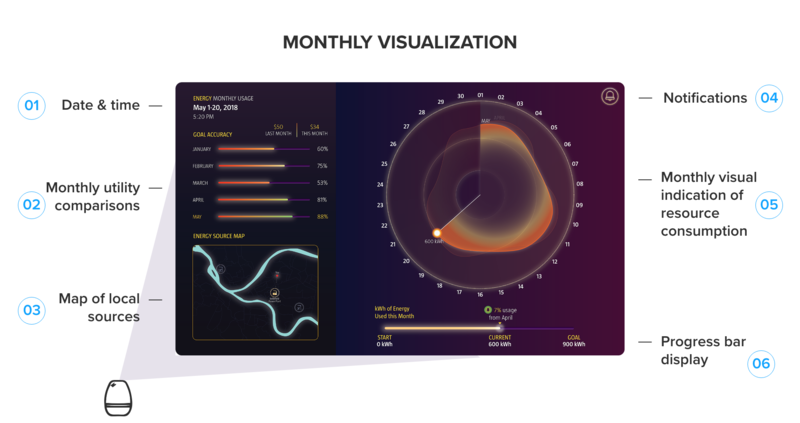 The monthly visualizations focus on showing the user usage patterns over the month and how daily consumption fits into the larger picture. A notification icon brings up information on utility sources. In the example above, a pop up window shows an energy plant in the Pittsburgh area, where it is, and some information on its output. 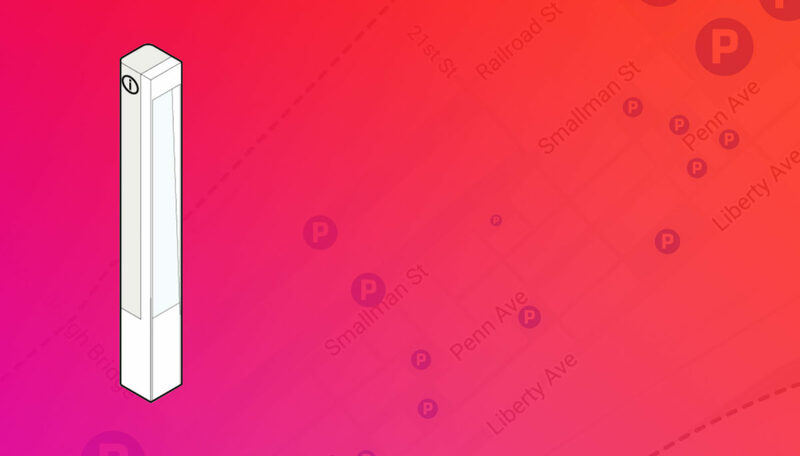 The goal of the mobile app is simple, to provide the user with the same functionality and data while on the go, as ORION provides them with in their homes. 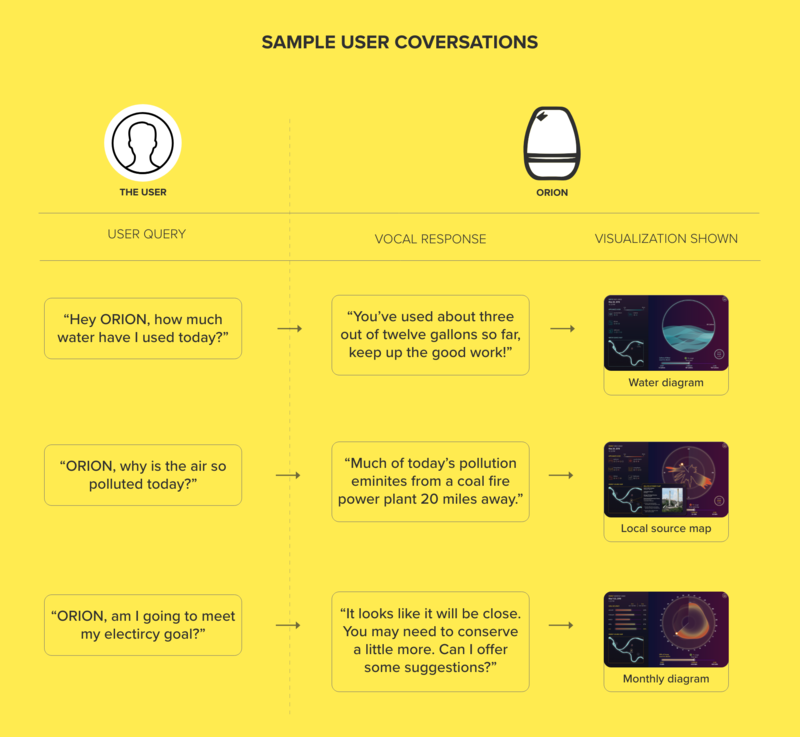 When the user speaks to ORION, their query is categorized into one of several response types. The question, “ORION, how is my energy today?” is identified as a “Display Command” and ORION will project the appropriate visual indicators as well as provide an auditory response. If ORION does not understand the query, it may ask for additional clarification. Every response will include a vocal and visual component if possible. This was our mantra of this project going in, and our team is proud of how we saw this through from initial concept to final proposal. There’s a lot of information contained within ORION. Finding ways to gently nudge the user can lead us to better adoption of environmentally friendly sustainable behaviors. And as a reminder, additional information on our process can be found on our project blog on Medium.